without pins! The pieces are re-positional so you can be sure that it is just where you want it, and it all washes out, won’t hurt your fabric in any way. I’m positive there are 500 other ways to use Lapel Stick – what would you do with it? Here’s your chance to win these two Lapel Sticks! Leave me a comment telling me how you would use it – for one chance. Like Lapel Stick on Facebook and leave me another comment – for a second chance. I will update this post on Friday, July 1, with a winner – Good luck! I’m doing a quilt project now with templates. I bet it would be great for sticking them down to trace and cut. Thanks for the giveaway! What a great idea for zips! Would it work on applique?? Honestly, using it on zippers would be wonderful! But I would also use it when creating a hem for my own clothing. It would make it much easier to try the hem out without worrying about stepping into pins! This question is totally boring, but did you find it gummed up your needle at all? I would use it in my kids beginner sewing classes for sure – if they don’t need to stop and clean off their needles. As a matter of fact I’d like to mention your sewing experience with the lapel stick and your daughter on my blog if it’s okay. I would use it for my Bottled Rainbows quilt! It would keep those scraps in place! For sure I’d use it for zippers and applique. I never saw this product before, but I’m sure going to look for it. I would probably use it for applique, but I am sure it has many uses. I think this would be really useful for applique – and a lot easier than spraying the applique with basting spray!! And I just “Liked” lapel stick on Facebook! Thanks for the chance!! I’d use it for doing a Bottled Rainbow blocks and for gluing down the pieces of a stained glass quilt that I’m doing. I’m thinking that it would be a lot less messy than the glue baste it glue that I’m currently using. Thanks for the giveaway! I’d love to use this! I’d use lapel stick for enclosed seams, to hold them together before top stitching. I’d also probably use it for holding appliques in place before stitching. I’d probably end up doing a google on the lapel stick and finding how all of you wonderful crafters are using it. Then I’d give you the best form of flattery – I’d copy what you’re using it for! 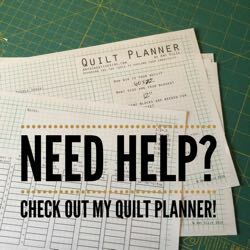 I’ve got some quilt projects I hope to be starting soon – One will have some homemade templates, so I could use it to hold those templates on the fabric to keep it from slipping. And I could definitely try it with the zippers like you’re showing (I’ve been avoiding zippers), and I’ve been wanting to teach my 5-year old granddaughter how to sew, so I could use it for tutorial purposes with her. Cool concept! Sounds good to me! I would use it for applique, binding, and zippers…and anything else I could think of!! I would use it to install zippers too! What a great idea. Among many other things. Thanks for the chance! And how sweet teaching your daughter to sew! I love that. I look forward to teaching my daughter to sew, to. In about 7 or 8 years…..
I’d use it in English paper piecing to prep my shap instead of thread. Would love to try this with zippers to keep them for sliding. Also for trims and bias…I bet it would be helpful around curved edges. What a terrific idea! 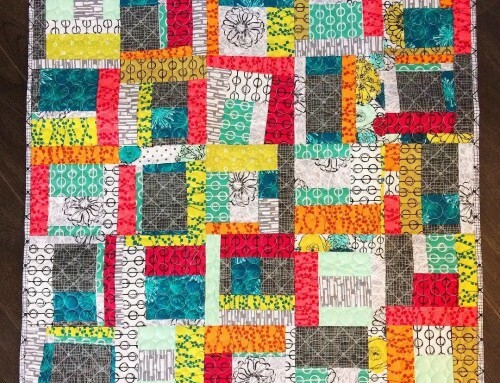 I’d love to be able to use it when my son James is sewing; he’s 5 1/2 and loves making quilts, but I’m always worried about him sewing over pins, and the stopping and starting to remove them tends to make him stitch off line. As a novice quilter I like to try anything and I can see its uses for particularly small pieces of applique. For sure for zippers, but also for keeping those cris cross type dresses in place…a girls gotta keep it modest right? =) I’d not heard of this product before, thanks! I would use label stick for the corners on binding. I think they would turn out so much neater than when you use pins. Besides all of the suggestions already listed, I think I would also keep one of them at work. I’ve always kept a sewing kit in my desk but, oh, this would be so much easier! Thank you for your give away! Binding – and I just started making some things with zippers, so I think this would help! My daughter is getting married in August so I am sure something will need sticking on the special day. I can see a million uses for it. 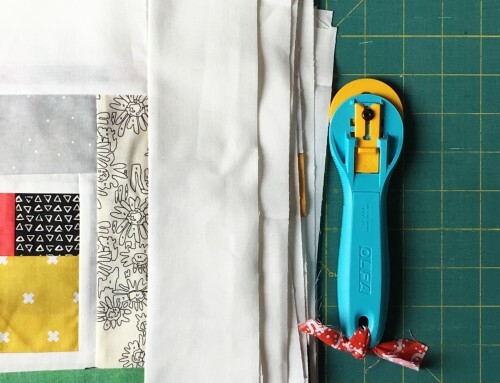 I think it would be perfect for holding the initial pieces of fabric in place when doing paper piecing, holding buttons in place until you sew them, and on and on. I would use it to keep my binding nicely folded to the back while I did the hand stitching. Thanks for the giveaway! I would use it for appliques. Looks like Lapel Stick is a great product. I would use it with invisible machine applique. Looks like it would be handy for holding your turned under seam allowance when preparing your pattern pieces for the applique process. Thank you for sharing this information and for the giveaway. Sophia is doing a great job with her sewing. Have a super great sewing, stitching, and teaching day. I’m going to be working with triangles . . . I think this would sure come in handy for those seams on the bias! Thanks for the chance. I would use them for zippers, I made a couple of pouches recently and had a hard time keeping the zippers in place, your zipper looks awesome. I would like to try on a zipper. I just bought some zippers to try and make a pouch purse and this product would probably help me. Thanks for the opportunity. At this very moment, I would use it on my paper piecing project. Next week I would use it with applique prepwork. And I’d sure want to try it out on zipper sewing!! I have been wanting to put together a zippered bag, but didn’t want to fight with the zipper- sounds like this is a great solution. I was just thinking about the lapel stick…I would use it when piecing small pieces, when I am hemming and putting in a zipper. Thanks for the giveaway. And I can’t wait to try a lapel stick. I just liked the lapel stick on fb. Thanks. Seriously, LOL, I popped in her and was going to say that I would use it for a project that I am involved in that has many templates…Hmmm, Suzanne (who is my SIL) beat me to it…So, I would use it to hold appliques pieces when (think 2020ish) making a Baltimore quilt makes it to the top of the list. LOL. Have a great day! I would love to try the lapel stick on zips. I’m sure it’s also handy to position appliques and pockets on bags. Thank you for the giveaway. I have never done any applique but would love to try and this would be just the ticket to get me started! I would love this to help me with zippers. They are the bain of my existance! I would definitely use it for hemming! I think I would be inspired to try my first zipper if I won! I think I’d have a go at using it for applique without having to iron Bondaweb on everything. I like lapel stick on FB! I’ve got some pillows to make so I would use it for zippers on the pillows. Zippers, as everyone has said, but I also really like the idea of using it instead of pins – i’m wondering how it would work for curved piecing? also, i think it would make applique go so much easier…right now, i often use fusible interfacing, but i’d much rather have something that would completely wash out when i’m done and that wouldn’t gum up my needle so much. I could see using the label stick to hold appliqué shapes down before they are stitched…or even for prep-ing them for machine appliqué! I work on a lot of group quilts-which means I have a lot of seams with different seam allowances that need to match up. I stink at pinning-can’t seem to do it w/o distortion, so I think a little dab of glue would be just the ticket! I think I would use it to hold down binding and for sure I’d use it with zippers. I think this wikk be perfect for machine binding too. But I have to definitely try it for teaching my girls to sew. LOOKS GREAT! I’D USE IT FOR APPLIQUE! I would use the lapel stick to make some string blocks. Glue down the middle strip to my foundation and then sew! 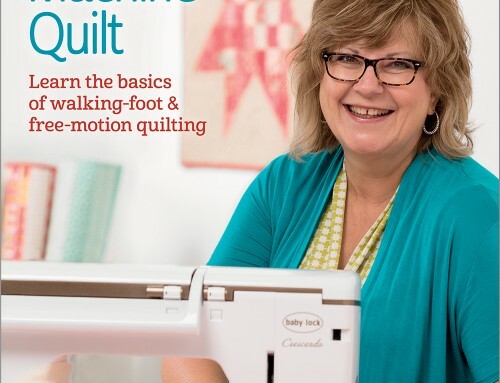 I’d use it for my applique – no more tacking! Thanks for the giveaway. My sister and I are going to teach my niece how to sew this summer. After seeing your post with your daughter I thought how handy one of these lapel sticks would be! Thanks for the chance to win! I liked lapel stick on facebook! I would have to use the lapel sticks for applique! lot. Thanks for entering me in this giveaway. It would be great to win, but even if I don’t you have helped me with the girls. I dislike putting in zippers with pins because they seen to distort the zipper. This would be a great way to hold those zippers until they are sewn. Thanks for the chance to win lapel stick. I’d use it to do raw-edge applique. In the past, I’ve used fusible web to stick applique pieces on, and this would save me from having to cut out shapes twice, heh. Thanks for the giveaway! Oh I’d love to win the lapel pins , they would come in so handy for applique , holding those pieces in place . Thanks for the chance . I have liked Lapel pin on Facebook. oh, this looks so useful! hems hems and more hems with no need for needles! it would be great. thanks for the chance! 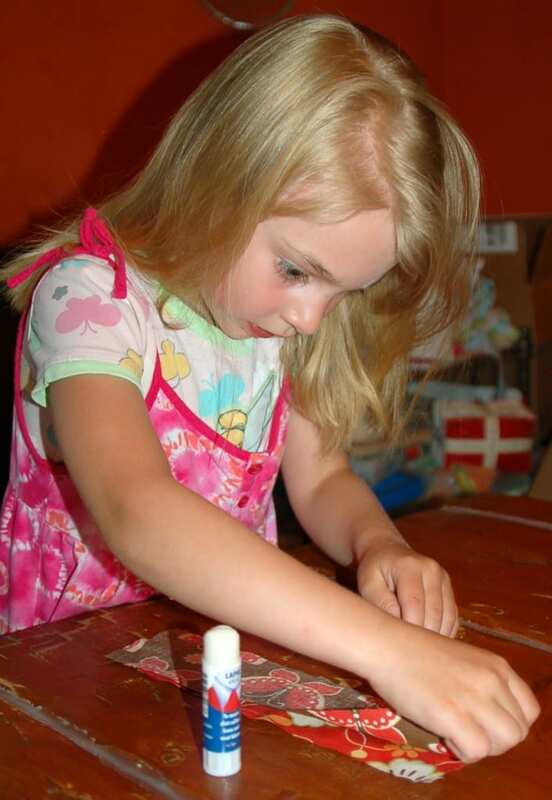 it’s so good that your little girl started to learn how to sew with the help of this tool! 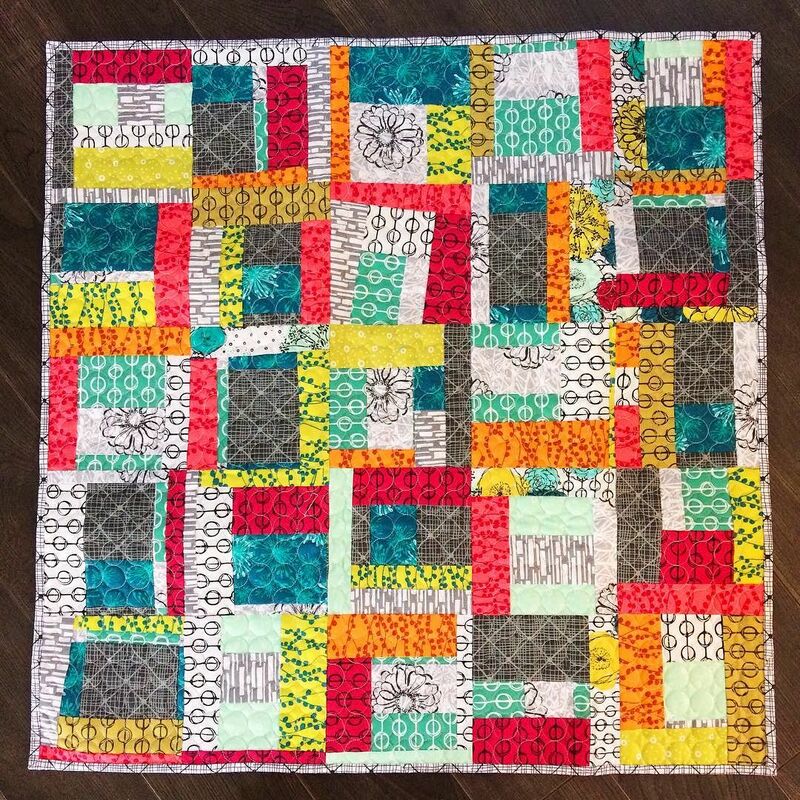 I’m wondering if Lapel stick would work to hold a quilting motif to a quilt top so can draw it for later machine quilting?? I know that it would be a treat for me to trial with applique – which want to learn to do (reasonably well). Love the idea of teaching sewing without pins. One less thing for my girls to watch out for while sewing! Thanks for sharing!! So many good ideas already–I really like the one about using it to securely position templates. I think I’d go with affixing the seams of applique shapes before stitching them down. Thanks for the giveaway. I’m thinking of using it to hold down pattern pieces when cutting. Especially the little/narrow ones where pinning them causes a bump or you end up cutting the pin itself. Thanks! Well for putting in zippers of course, I always have trouble with that. And for holding appliques on while I sew them! Would it hold my bra straps to my tank top straps? I have a quilt that needs repair. I am hoping that the stick would work on that issue! I have a quilt that needs repair and I am hoping the stick will help with that repair. WOW what an awesome product – It would be so useful for sewing – Would be great for holding on appliques while you sew them on. And would be amazing for doing hems. Would love to win this–would be so great for so many things! Just “Liked” you on FB. I would use Lapel Stick to baste seam allowances on applique pieces and then baste those pieces onto the background. I’ve been using starch to do it, and it’s messy and time consuming to use. These would be fast and easy. It takes a little time to prep the pieces, but it’s far more portable without pins, and sews up by hand very quickly once it’s done. I think I just “Liked” it on FB, but not sure how to tell. 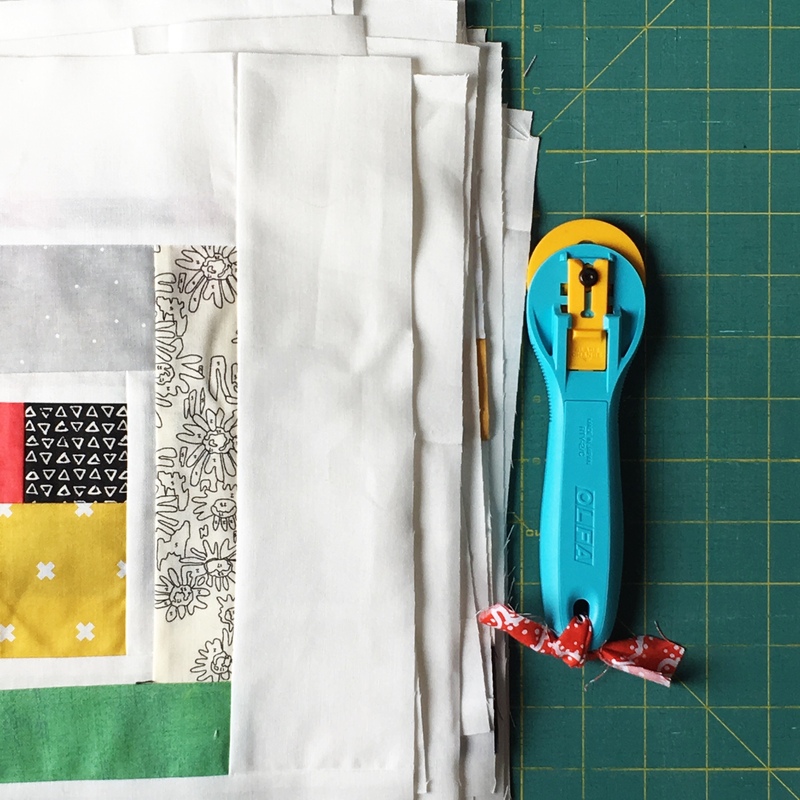 I like to use the glue to do quilt bindings, glue hems so it is easier to hem….glue is just amazing for most project to make them easier. Thanks for this giveaway. Just the other day a friend and I were using Elmer’s Glue to hold some folded bias strips in place long enough to get them stitched. Lapel Stick might have been a better option! 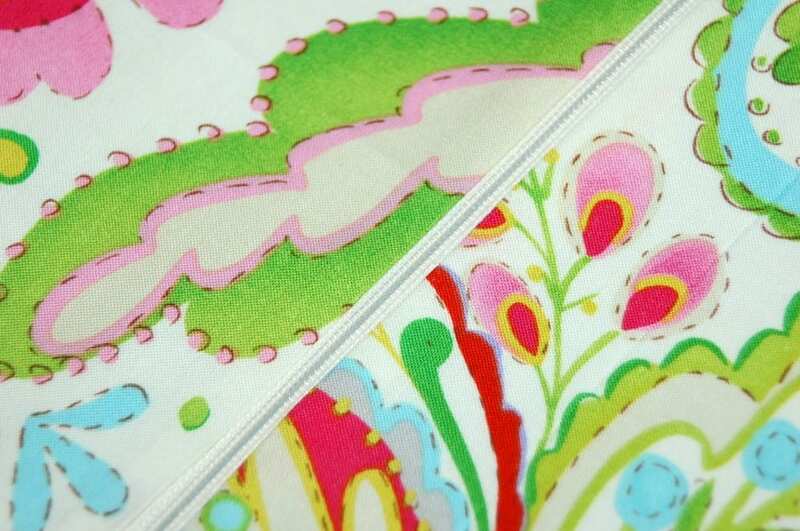 Zippers, zippers and applique …thanks for the chance to win! I liked Lapel Stick on facebook for a while now. I would use Lapel Stick on the 30″x30″ quilt that I am making for the quilt show for our local quilt guild. Lots and lots of tiny little pieces need help staying in place. I’d like to try it for applique. I like lapel stick on Facebook! thanks for the giveaway chance! I’ve been wondering how Label Stick might work for applique, but really like your idea of using it for a zipper. Great idea. Definitely want to try that trick. I would use the Lapel Stick to sew with my son. I wonder if it would work to put a binding on a quilt or hold applique while you sew them down. I do like your zipper idea. I may have to give it a try. I’d like to try it out for seams instead of pins. these look great for appliques and zippers, also for keeping templates in place I think. Thanks for the chance! I’d use the lapel sticks for applique work mostly, but I definitely want to try out the zipper app, too. I think it would be great for small pieces in applique. I usually have to hold a pin to keep it in place and some of the pieces are so small the pin barely works. I think I would use this for appliques. I would definitely have to try it with a zipper. I’ve been wanting to make some of the little bags I see, but I don’t like working with zippers. This would be a great chance to try it out. Thanks for the giveaway. 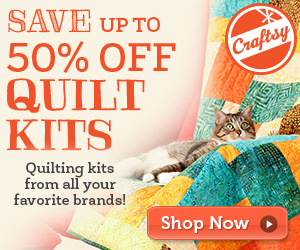 These would be awesome to win – I love applique and would use them for that!! Thanks for the chance! Hmmmm… the zipper idea is great! I probably would use it for small applique pieces. I would use this hold applique in place while sewing! I would use it for sticking templates to my fabric when I cut. I like to make sure that the template doesn’t slide around. I liked Lapel Stick’s facebook page! Wish me luck!! i would definitely use it for zipper placement…but i imagine i would use it for a zillion other things too! I would use it to stick down those pesky centres of lots of seams!! I may get a “flat middle” yet! Thanks for the chance. I think this would be perfect for positioning pieces that are being hand appliqued. I do that kind of work regularly. How about for appliques and English paper piecing. Also paper piecing when setting the 1st piece of fabric. The lapel stick looks like it would be a great way to install zippers. Pinning can be so tedious and then the pins get in the way when you’re ready to sew. Thanks for the chance. I’m sure I’m at least a day late for chance in the draw. But these lapel sticks would be *fabulous* for a stained glass quilt that I’m working on.